Welcome to Day #3 of Chocolate and Raspberry Theme Week. 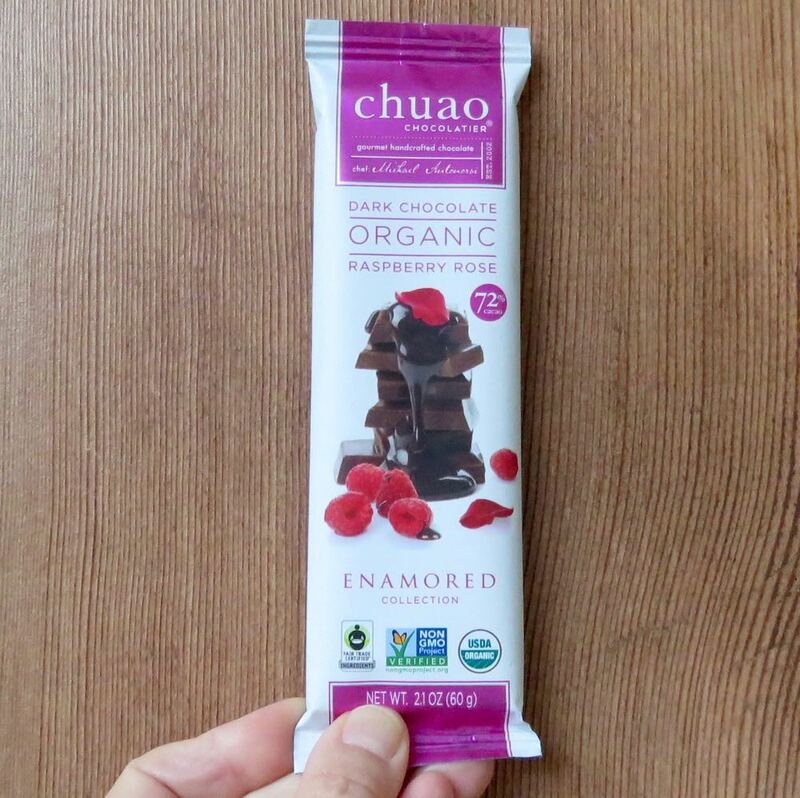 Today's Dark Chocolate Organic Raspberry Rose 72% cacao bar from Chuao Chocolatier (Carlsbad, CA) was part of the company's "Enamored Collection," which is apt, as Valentines Day is coming up soon. 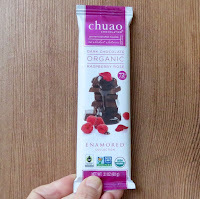 The organic chocolate had a rich dark chocolate aroma and flavor, interspersed with natural red raspberry fruit flavor (and one or two tiny seeds), coupled with faint rose (organic rose petal) floral notes. 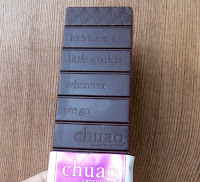 In case it's difficult to read in the photo, the words inscribed on this bar read: "let's leave a, little sparkle, wherever, we go, chuao..."